Replacement: None. There is no direct replacement for this part. We sold the last of our production stock and will no longer sell these individually. This page is for reference only. 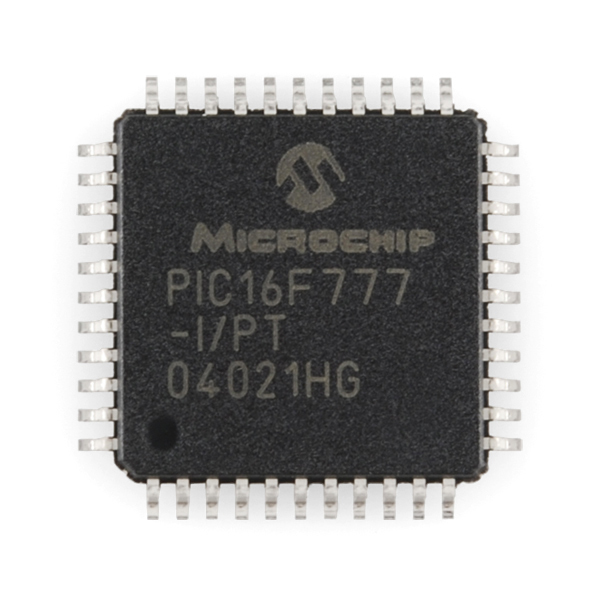 This powerful (200 nanosecond instruction execution) yet easy-to-program (only 35 word instructions) CMOS FLASH-based 8-bit microcontroller packs Microchip's powerful PIC® architecture into 40- or 44- pin packages and is up compatible with the PIC16C5X, PIC12CXXX and PIC16C7X devices. 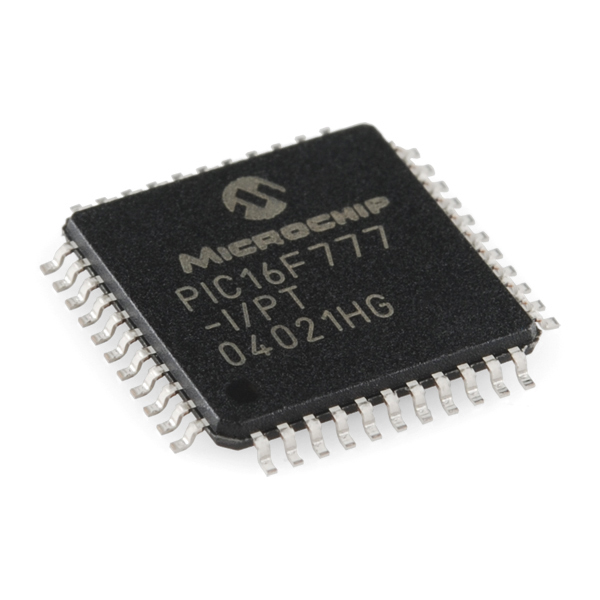 The PIC16F777 features 14 channels of 10-bit Analog-to-Digital (A/D) converter, 3 timers, 3 Capture/Compare/PWM functions, the synchronous serial port can be configured as either 3-wire Serial Peripheral Interface (SPI™) or the 2-wire Inter-Integrated Circuit (I²C™) bus and a Universal Asynchronous Receiver Transmitter (USART), 2 comparators, internal RC oscillator and Advanced Low Power Oscillator controls. 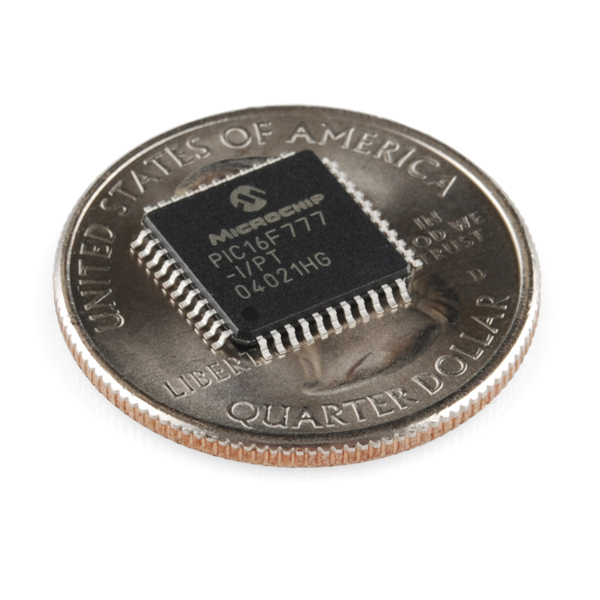 All of these features make it ideal for applications including automotive, appliance, battery, RF, motor control and utility metering. Note: These are production stock that we no longer use in any assembly so we've decided to sell them here. Once we run out of stock, these are gone for good, so get 'em while you can! Who would EVER need more than (this circa 2004 chip's) 368 bytes of RAM? Price comparison: These are over $5 everywhere else! Great deal! Does bloader work with this uC?